Reading can help your child with their vocabulary, their grammar skills, their spelling, their understanding of the world, and much more. Now that February, the month of love, is here, why not instill a love of reading in your child so they can reap all of its benefits? Read below for a few tips on how you can encourage them to read more. If your child feels obligated to read, it's less likely that they will enjoy it. Instead, allow them to engage in reading when they're in the mood, so they can find joy in doing it. A simple way to encourage your child to read is to be an avid reader yourself. If they see that it's an activity you look forward to, it's probable that they'll imitate your behavior and start to love it, too. Choosing the right book to introduce your child to the joy of reading can be a game changer. Give them some independence and let them pick a book that sparks their interest, so they're more willing to dive into it. While reading can often be regarded as a solitary activity, you can do it with your child. Read to each other and then discuss what you just went over, so you can make the reading experience more fun and enriching. Where and when your child reads can make a difference to how much they enjoy it. Designate a place in your home where they can focus, and set a time for it (e.g., before bed), so they're not too hyper or tired to read. Finally, take a field trip to the library. It's likely that your child will be inspired to read more after seeing the number of books and stories that is available. 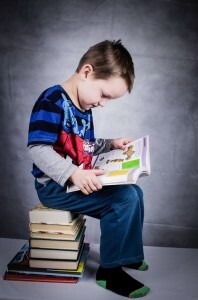 If you sense that your child could use support to become a great reader, The Tutoring Center, The Woodlands TX has a Geniuses in Training Reading Program ™ designed to assist them with this basic skill. Call (281) 602-3839 to enroll your child in tutoring in The Woodlands TX or to request a free consultation.